The Art of Lunar New Year Celebration: How to make Chinese dumplings? Did the Chinese Invent Ice Cream? What’s Good to Order From Chinese Food? You’re hungry and in the mood for Chinese food. But now comes the important question: What’s good to order from Chinese food, in particular when it comes to Asian fusion? By now you’ve certainly heard the term “Asian fusion” to describe a certain style of cooking. But just what is Asian fusion cuisine? To keep it simple, fusion cooking is when the cooking style of one cultural background is blended with another. Restaurants blending Asian ingredients with North American ingredients are extremely popular. Fusion is a great way to introduce interesting and new foods to people who typically eat only traditional foods, such as roasted chicken or a burger. Those who never stray far from only eating what they know. Many people shy away from Chinese cuisine because they don’t know what to expect or because they don’t enjoy authentic Asian cooking. Asian fusion also appeals to the more adventurous diner, who wants to try a variety of blended tastes and flavours. Fusion cooking allows people to move away from their comfort foods and try something different, while at the same time staying close to foods they recognize. More people than ever are dining out at least once or twice a week. No one wants to eat at the same restaurant every week, eating the same types of foods. Fusion restaurants allow you to try something new off the menu, while at the same time letting you order a meal that is familiar in some ways. A good example of this is a stir-fry. One of the most common types of Asian fusion meals is the humble stir fry. The traditional Chinese stir-fry technique has been modified to include all types of ingredients, making it one of the most popular fusion dishes around the world. Chicken, beef, shrimp, or vegetarian. There’s a stir fry for every palate. Served over rice or noodles, the classic stir-fry is always a good option when dining out at a Chinese restaurant. Chinese cuisine varies from one province of China to the next and there are stir-fry recipes that are unique to each. There are however a few similarities across all Chinese cuisines. Using a wok over high heat is essential so that the ingredients are swiftly cooked without over-cooking the vegetables. High heat cooking requires cooking oil that has what is known as a “high smoke point”, such as peanut or canola oil. Fresh garlic and ginger are added to most stir-fries. Garlic to add a mild spicy flavour to the dish, and ginger to bring a touch of sweetness. Vegetables and meats are sliced very thinly so that they cook quickly. Meats or fish are cooked first in the pan, with very little or no seasoning being used so that the meat doesn’t get tough. Once cooked, the meat is removed from the pan and the vegetables are cooked, starting with the harder vegetables, such as carrots or turnips. Very little water is used so that vegetables don’t lose their flavour. Instead, the juices of the vegetables are released, giving the stir fry a rich taste. Traditional stir fries are all about the sauces, or rather the understatement of using them. Chinese cuisine uses sauces carefully, never over-drenching the stir-fry. Some of the most popular sauces include oyster and black bean sauce. Often only a small drizzling of sesame oil is added, and sauces avoided altogether, to bring out the individual flavour of each ingredient. When you’re craving a Chinese meal that is sour and a bit on the sweet side, Asian fusion restaurants let you enjoy these foods in dishes that have now become familiar to us. There are times when nothing but a plate of dumplings with a beef and vegetable filling will satisfy you. Or deep fried beef strips, coated in garlic and ginger, served over a bowl of rice. Asian fusion style cooking is all about the subtly of flavours, where one taste doesn’t over-power the other. The main ingredients of a dish should stand out, served to you in a simple presentation. Now that you know all about Asian fusion, contact Fork N’ Chopstix in Langley, BC to reserve a table. Or for delivery, place your order for pick up or delivery by calling604-881-1333. 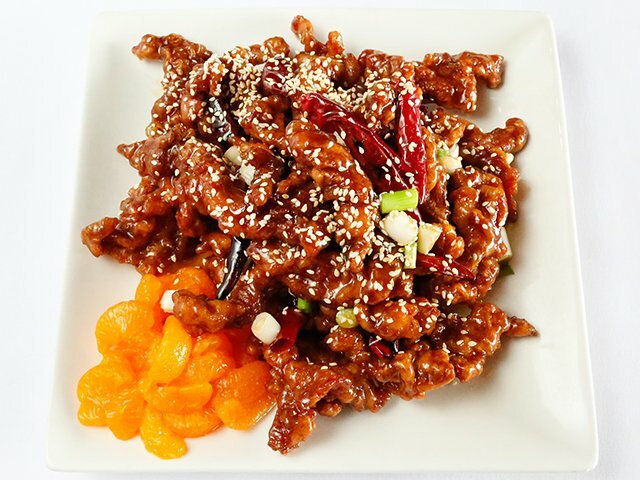 Our Chinese cuisine features both Chinese and Western food!